What an opportunity to acquire a very desirable Maxi 100 PS, she has been maintained very well including a new engine in 2017 (31.5 engine hours), and AGM batteries, and much more. With the benefit of a cockpit tent (conservatory) adding the equivalent of an extra cabin. She comes across as a good solid vessel, and well preserved internally and externally. The owner will consider any part exchange ideas such as a motor home, river/canal boat or car. All suggestions welcome. 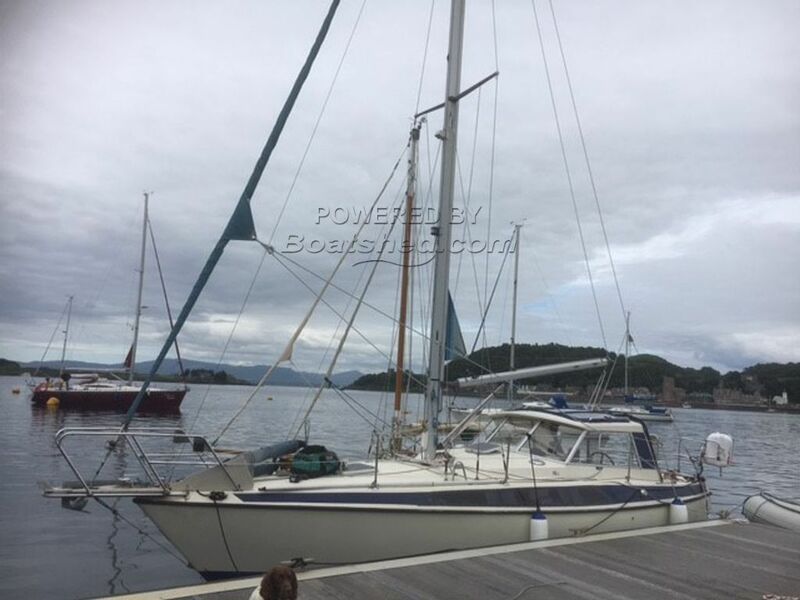 There is also a mooring in the Oban area available by separate negotiation. This Maxi 100 PS has been personally photographed and viewed by Ian Sawkins of Boatshed Scotland. Click here for contact details. What is the age of the rigging? I assume there is no heating? Is there a recent survey? If interested what are the viewing arrangements?